Chances are that you have at least encountered the phrase “smile makeover,” whether while watching television or engaging in casual conversation with a friend. Perhaps you have even thought about how you might benefit from seeking out a smile makeover - but surely, something as elaborate as a smile makeover must be reserved for celebrities and the elite, right? In fact, at Family Dentistry of Windsor, cosmetic dentist Stephen D. Lipman provides world-class smile makeovers to members of our very own New England community. You, too, can have precisely the smile you’ve always wanted, perfectly tailored to your unique needs and goals. But, you may be wondering, what exactly is a smile makeover? At our dental practice in Windsor, smile makeovers differ from patient to patient. In general, a smile makeover is a treatment plan in which cosmetic dentistry procedures are customized and combined to meet your individual needs. You may have only one or two teeth in need of treatment, or you may require more comprehensive treatment, perhaps for your entire mouth. Whatever your needs, you can count on Dr. Lipman to find the most conservative and effective combination of treatments to give you exactly the results you are looking for. While your smile makeover plan will be created specifically for you, there are a number of treatments that are commonly included in smile makeovers at our office in Windsor. Porcelain veneers are the centerpiece of many of the most transformative smile makeovers. Porcelain veneers are custom-crafted shells that are affixed to the front surfaces of the teeth to conceal cosmetic flaws such as cracks, chips, discoloration, and gaps between teeth. For the side and back teeth that are aesthetically damaged, porcelain dental crowns may be used to restore their beauty and shape. Like porcelain veneers, crowns conceal damage, but they are used to cover the entire visible surface area of a tooth. Both veneers and crowns are crafted to exact specifications provided by Dr. Lipman so that they complement a patient’s surrounding natural teeth in terms of color, texture, size, and shape. Other cosmetic dentistry treatments often included in smile makeover plans include in-office teeth whitening and dental bonding. If a patient is missing teeth, Dr. Lipman may fill the gap with a dental bridge. Qualified candidates may be referred to an oral surgeon for dental implants, which can be used to provide unrivalled support for crowns and bridges in the replacement of missing teeth. 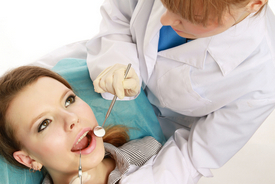 What Will Your Smile Makeover Include? There is only one way to find out what your smile makeover will include, and that is to schedule a confidential, one-on-one consultation with Dr. Stephen D. Lipman. If you are interested in learning more about smile makeovers or any of the treatments that are commonly used in smile makeover plans, we invite you to contact our cosmetic dentistry practice in Windsor today. We would be pleased to answer any questions you have about the treatments that we offer!